Little known is the Archive-It service from the Internet Archive (https://archive.org/), the site that has the Wayback Machine, and Open Library. Archive-It enables organizations like the University of Hawaiʻi (https://archive-it.org/organizations/336) to build and preserve collections of web content. The Internet Archive has been archiving the web content since 1996 for its Wayback Machine. In 2002, the Internet Archive released Heritrix, an open source web crawler. However, organizations often lack expertise and/or policies to effectively archive web content. Constantly changing web technology, conflicting and evolving policy decisions, shifting organizational structures, limited or non-existent funding contribute to the obstacles organizations face when considering archiving web content. 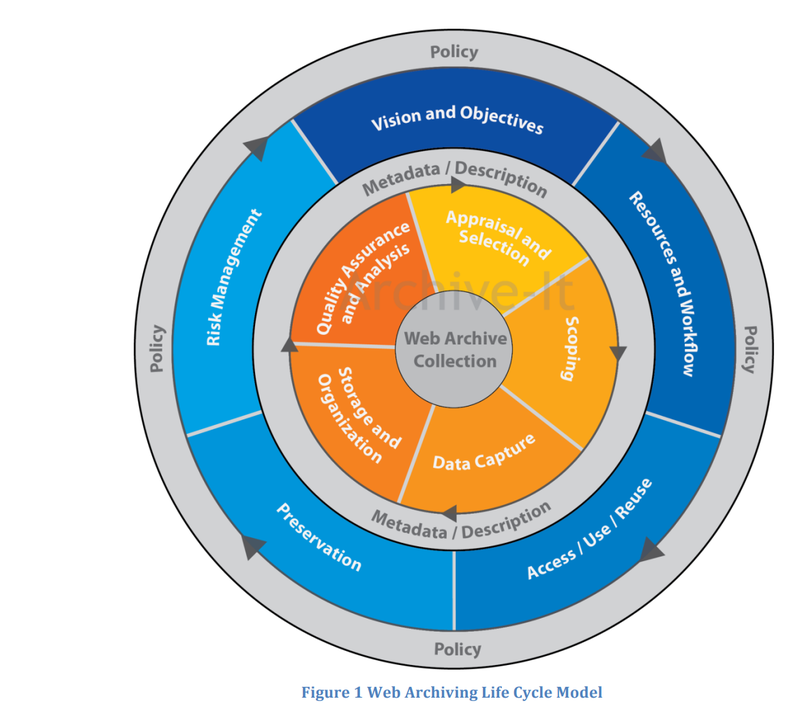 The Archive-It team drafted the Web Archiving Life Cycle Model, shown below, to address best practices for archiving web content as a collection development tool. With more and more web content disappearing daily, organizations in the public sector and beyond should consider subscribing to Archive-It.